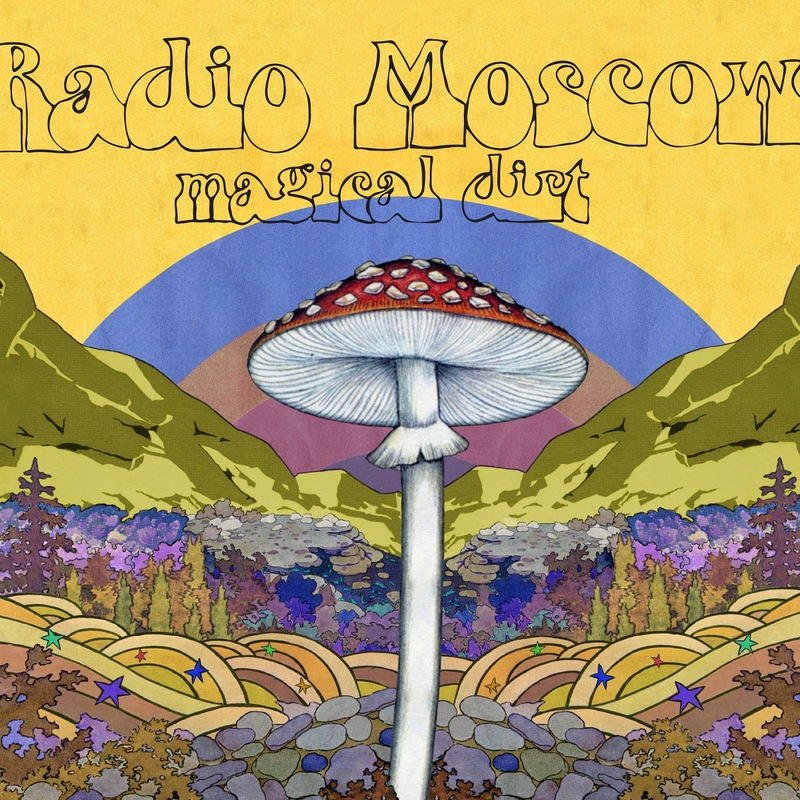 Radio Moscow have been around for some years now and they released some of the finest heavy blues rock albums with absolutely amazing musicianship. The band went through various of lineup changes and settle upon with founder Parker Griggs along with bassist Anthony Meier and drummer Paul Marrone, who are both also involved with other projects. We managed to get Anthony Meier to talk about the Radio Moscow. You are influenced by various underground bands from the late ’60s and early ’70s including Sir Lord Baltimore, Granicus, Randy Holden and stuff like that (including ‘Krautrock’. I hate this term). Is there a certain band that really stood out? As far is big bands go, three bands that stood out to me and got me into playing music when I was younger were Jimi Hendrix Experience, Black Sabbath, and Pink Floyd. All three bands were forces to be reckoned with during their prime periods and they all rubbed off on me. I started getting into more of the old underground music as time went on and discovered loads of bands. 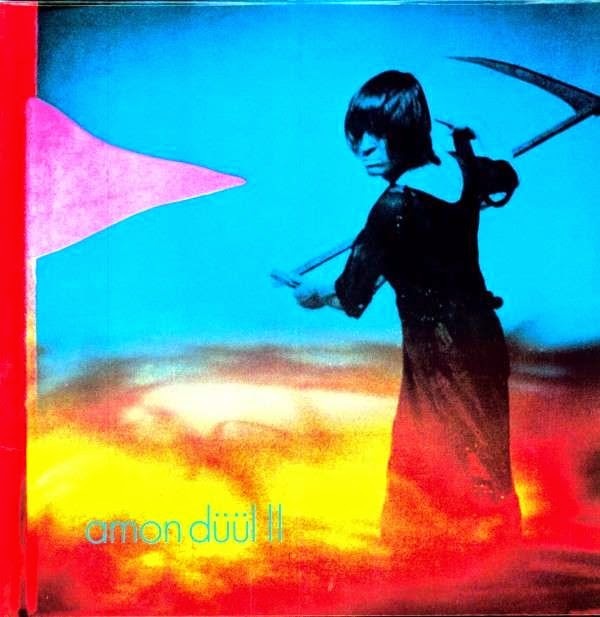 Two of the earlier international bands that stood out to me were Flower Travellin Band and early Amon Düül II. They really developed their own authentic style of playing music and were a bit different than most of the rest. The musicianship in both bands was incredible. There are lots more of other bands like that that I love but those were just two of the earlier underground bands that stood out and had a direct influence on me throughout the years. 3 of my top favorite american hard rock bands are Dust, Cactus, and Captain Beyond. How did you first come in contact with this kind of music? Was it through your family collection? My parents, brothers, uncles, etc, did not listen to this kind of music. I came in contact with the underground through friends, books, and most importantly the internet. Sometimes I wonder if the internet never existed if I would have gotten so into all of this music. It played a huge part in me discovering bands that I would have never heard of before hand most likely. There is a lot of accessible ways to listen to music and learn about bands and the history of the era and such. The current lineup is not the original one. How did you get in the band? Before I joined the band, I had seen three different lineups of the band live throughout the years. Paul rejoined the band for the third time and at the time he was also playing in a few other bands. My other band Sacri Monti (interview here) started playing shows with Paul’s other bands and that is how we met each other. Parker moved to Southern California and the first time I saw him down here was at a show that we played in Encinitas. I think he liked the band and what we were doing but I did not meet him that night. Then one day I was hanging with my friend Brian Ellis and we went over to Parker’s house and jammed for hours, had some drinks and some joints. I did not know at the time he was on looking for a new bass player and I think him and Paul had a talk about who they would want to join and my name was one of the first few to come up. A week later I got an email from him asking if I wanted to join Radio Moscow and tour Europe for a month. I had 7 weeks to learn as much as material as I could. It’s been really great playing and hanging with Parker and Paul, they are two of my favorite musicians and are also two of my very close friends. 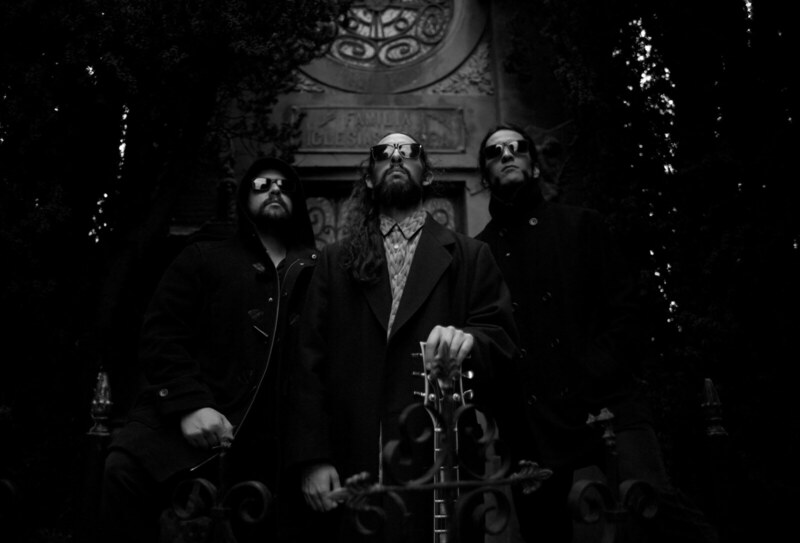 You are also part of psychedelic freak-out band called Sacri Monti (interview here) that has been extensively interviewed by Roman Rathert. How do you manage to do all the bands? It must be a lot of fun, since different bands play different music and different members mean different personalities? 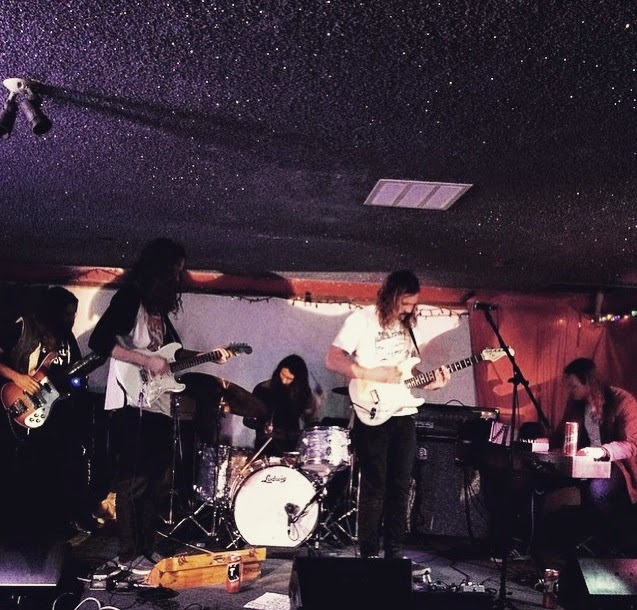 Sacri Monti is a 5 piece band of some of my closest friends who I grew playing music with. We all used to jam for years before the band was even formed and all have same musical taste and influences. It is a band that we all started together and some of the members also have other bands and projects they are working on. We formed the band at the end of 2012, played a lot of shows around San Diego 2013, and also recorded a demo in May 2013 with Brian Ellis. We just recently finished recording our first full length album that is due on July 21, 2015 through Tee Pee Records. I am on my ninth tour right now with Radio Moscow. 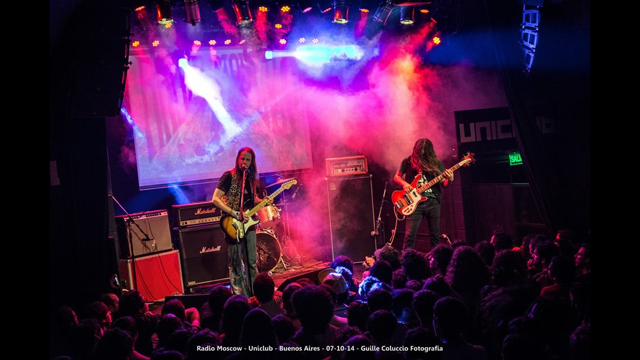 For Me, Radio Moscow is more about structure because I play the songs pretty much how they are on the record while Parker does his thing, although there are a few parts where we all improvise together live. With Sacri Monti I am able to mix things up a bit more during live shows depending on where the band takes things at the time. It’s a nice blend of structure and improvisation and the shows are always different. Due to all of our schedules, it’s not the easiest thing in the world being able to all get together at once to rehearse with Sacri Monti because or been gone a lot of the time and the others have jobs, and other bands as well. I’m glad we finished our record though and hopefully will have some more opportunity in the near future. Doing a European tour is a goal for 2016. As far as different personalities go within the bands, I love all of them and we all get along great which is important. You recently released Magical Dirt. So far in the past Parker has done all the song writing in the albums for this band and I haven’t been a part of it. I was fortunate enough to be able to play on Magical Dirt though. At this point we are all very fluid with the material. Not sure exactly how the next album will be though. We will maybe all three write songs together or Parker will continue to do it by himself. Only time will tell. You can definitely tell that he has matured a lot in his songwriting from listening to the first 2004 demos up until Magical Dirt. I really like the production work on this album and the overall sound of it all. At this point in time (March 26, 2015) we are in Europe and have 8 more shows to play. We just played Rockpalast last night which was very important show for us. This tour started on feb 17 with a total of 37 shows. We did 16 of them supporting Colour Haze which was an honor and a lot of fun. The shows and the crowds were really good. Once those shows were over we continued on with our own headlining shows. Going to make our way through Spain and finish the tour in Portugal at the Sound Bay Festival. We plan to come back in July for a festival run and some club shows. It would be cool to be able to make it out to Australia or Japan and more of Scandinavia or something like that but who knows if that will happen or not. 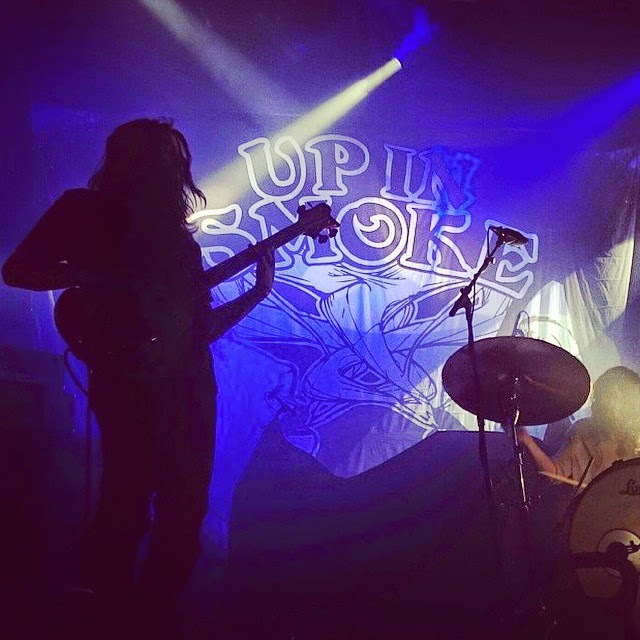 Hopefully we can get another album together for a release in early 2016 for Radio Moscow. As for Sacri Monti, we will see what happens after our album releases on July 21. Would be nice to keep writing more material. Aside from all the music I will spend time with friends, family and my love, Carolina, when not touring. Right now she is living in Portugal so before and after tours I spend time there and she will be out in the USA soon. 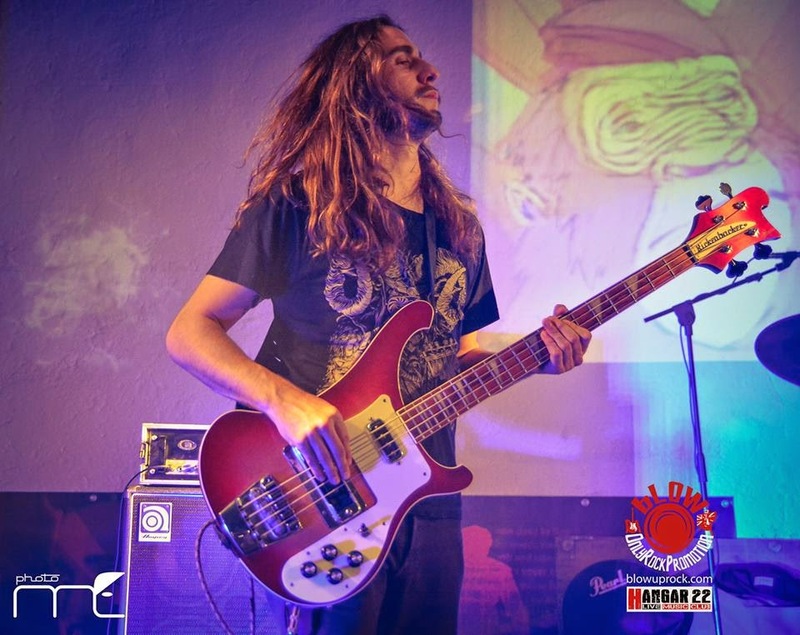 Some time ago our writer Carlos Ferreira went to Stairway Club in Casicas, Portugal and he wrote a live report describing your show as: “This was one of the most unbelievably good concerts I have ever attended. In fact, it was so good that a new adjective has to be made up to qualify the quality of such a show. Radio Moscow should be placed up high as any of the greats people regard as cornerstones of heavy rock. They have soul, talent and songs of unearthly quality and groove. What a night, man! What a night.” (Live report here). You are one of those bands, that gives everything for a live show and that should be really respected these days! That show in Portugal was a lot of fun and the crowd was great. It was sold out and there were a lot of people jammed in together and crowd surfing. I remember talking to Carlos after the show, he was a really nice cool guy and I am honored that he had such nice things to say about us in the review he wrote. Who is behind the cover artwork in Radio Moscow and Sacri Monti? An artist name Anthony Yankovich did the artwork for Magical Dirt. I believe he also did the artwork for the first two albums as well. For Sacri Monti it was a collaboration between friends of ours, Danica Molenaar and Dana Trippe. How do you see the current rock scene? There is quite a lot psychedelic rock bands around. With the help of internet bands are popping out everyday and it seems that we are all very well connected. Are there any bands you would like to mention? If you compare the rock seen to how it was from 2004 until now, it has definitely been moving in a positive direction. There are a lot of hard rock, psychedelic, stoner rock, and other bands that have come about in the past decade and I think a lot of those hard rock influences that most people thought were dead are really starting to resurface. The scene seems to be bigger in Europe I noticed. Majority of America seems to still be more based around pop music and indie and this neo psych thing. 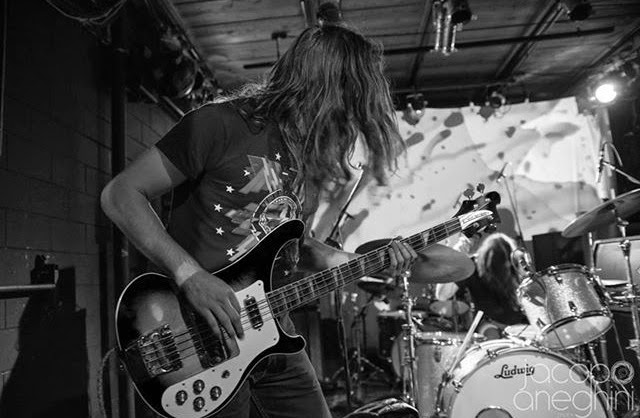 We have a large handful of rad bands from San Diego right now doing the hard rock and psychedelic thing some of them being Earthless, Astra, Harsh Toke, Psicomagia (interview and review), Artifact, Red Octopus, Arctic, Joy, Loom, Monarch! and more. I really like the bands Prisma Circus from Barcelona and Heat from Berlin too. Also we just played with a new band called Sunder from Lyon, France. It’s all the same members from The Socks, and their new project is awesome. What do you like to do besides music? 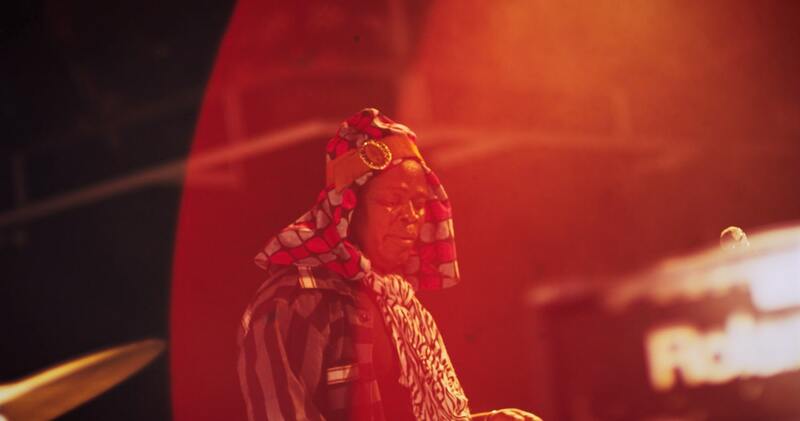 The past years my life has been revolving mostly around music whether its been jamming, rehearsing, touring, going to shows, reading about it and a lot of listening to albums/records. When I was younger I used to skateboard a lot and grew up around the scene too where there are a ton of skaters but I chilled out on it some years ago and focusing on music and not getting hurt. I still do it every now and then. When I’m home I like to hang with my friends too to pass the time. I recently finished a book written by Noel Redding about his time with The Experience. I found it in Portugal for 2 euros and didn’t know it existed. It was a very nice read and very interesting. They really got screwed over big time big then. What’s on your turntable right now? I am on tour now so there is no turntable but there is wifi and YouTube and also a bunch of bands in my iTunes library on my phone. Just finished listening to Ash Ra Temples second album called Schwingungen. 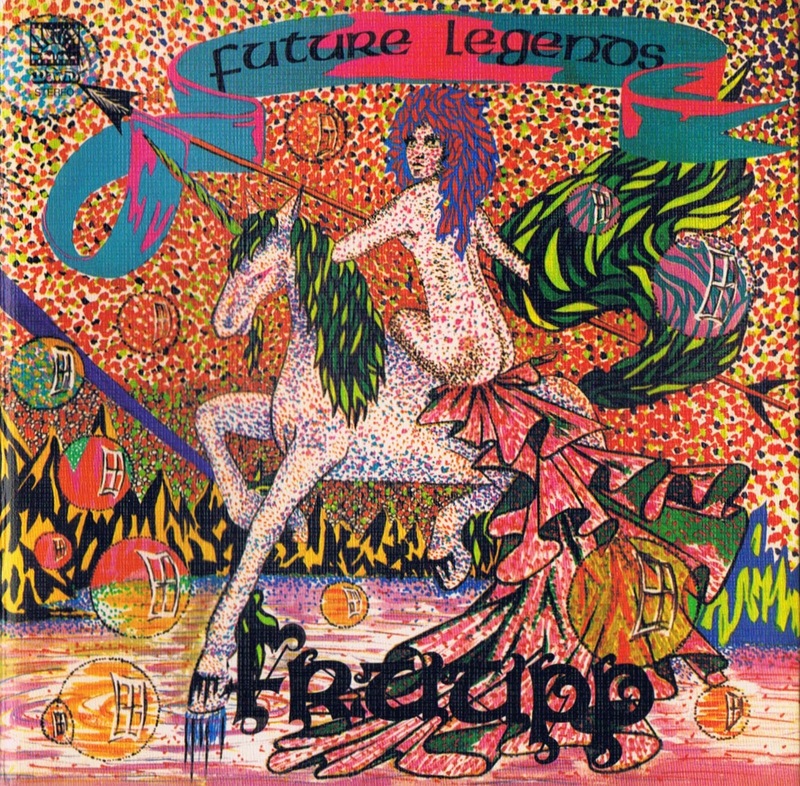 Before this I was listening to this progressive album named Future Legends by a band called Fruupp. We can’t deny the comeback of vinyl records. They are coming back stronger than ever. Maybe a bit more in USA than in Europe, but I think this is really great and that vinyl record accompanied with digital download is truly a perfect format. 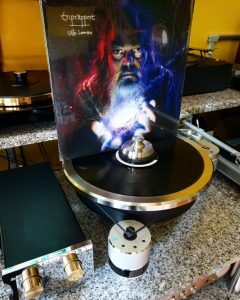 You can have your own ritual at your home listening to vinyl and when you go out you can put those digital tunes into your player and off you go. Yes I agree that it is really nice that vinyls have been coming out with digital downloads too. I do have a collection of over 500 LPs that I have purchased throughout the years. Sadly at this moment they are in storage because I am in a transitional period from moving houses. It’s mostly a collection of old hard rock, psychedelic rock, progressive, krautrock, blues, classics, and also some more recent gems as well. I spent a lot of time digging through different record stores and still do but it is an expensive habit. It’s really nice going to some Record stores on your in Europe too because there’s a lot of stuff there that you don’t find in the States. We should return back to the album making. Where was your latest album recorded and what gear were you using? Magical Dirt was recorded at one of the best studios North County has to offer called Big Fish. I happened to end up using a 1964 Gibson Atlas bass amp head through an Ampeg 8×10 and an old Danelectro bass that Parker has. On the Sacri Monti album we recorded at a studio called Audio Design in San Diego. I used my Rickenbacker through and Acoustic 360 with a little kick from a vintage Ibanez super tube screamer. What’s your opinion mind-benders? Do you like to use them? Do they have any impact on you as a musician or as a person in general? I like psychedelics and am not against the use of them. I’ve had my fair share of trips in the past ranging from playing shows on mushrooms, smoking salvia in the forest, drinking San Pedro cactus and some LSD trips. I think there’s a time and a place for all of the psychedelics and for me personally I don’t use them excessively but I enjoy them. I feel that it all as had somewhat of a positive impact on me as a musician and a person in general. I had an epiphany when I watched parts of Pink Floyd live at Pompeii and Zeppelin live at Royal Albert Hall on LSD. Last time I used them was before playing a show in Rio de Janiero, Brazil. Luckily I was on a good one that night. Thanks a lot Klemen. Hope to meet you in the near future. OK! Last word is yours! Thank you to anyone who took the time to read this interview and supports the two bands I am in. Hopefully we will be coming to a town near you soon. Keep an eye out for the San Diego underground too.